Lendman might be correct judging by the reported heavy Israeli attacks on Syria on February 10 after Syrian air defences damaged Israel’s image of invincibility by shooting down one of Israel’s US-supplied war planes that was attacking Syria and reports that the conflict might be escalating and involving Iran. RT reports that the Kremlin is worried that the de-escalation zones are threatened and that Putin got on the telephone with Netanyahu urging restraint. All of my life US presidents have been urging restraint on Israel to no effect whatsoever. Putin’s urges will have no more effect, unless Putin takes the card from Lendman’s playbook and tells the war criminal Netanyahu who heads the illegal Israeli state, which is based on land stolen at bayonet point from Palestinians, that any more of this and Russia will take Israel out. Lendman thinks that no other way of talking to the crazed zionist state, or to Washington, will have any effect, and history seems to be on Lendman’s side. See this and this. Putin sensibly avoids escalating a situation, but one gets the impression that there are constraints on Putin’s ability to stand up to Washington. The Saker identifies the problem as the pro-Washington “Atlanticist Integrationists” who for personal career reasons, personal business reasons, and because they are supported by Washington-financed NGOs and media inside Russia, have sold out Russian sovereignty to globalism. 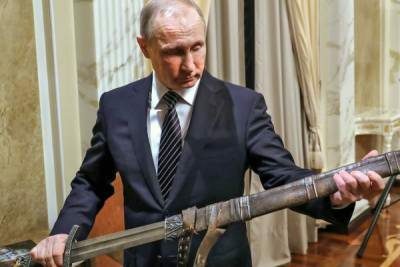 Putin, apparently, is unwilling or unable to move aside those who serve as Washington’s check on Russian nationalism, which prevents any real Russian victory. If the “Atlanticist Integrationists” inside Putin’s government are able to block more decisive responses, the question arises: how powerful, really, is Putin? 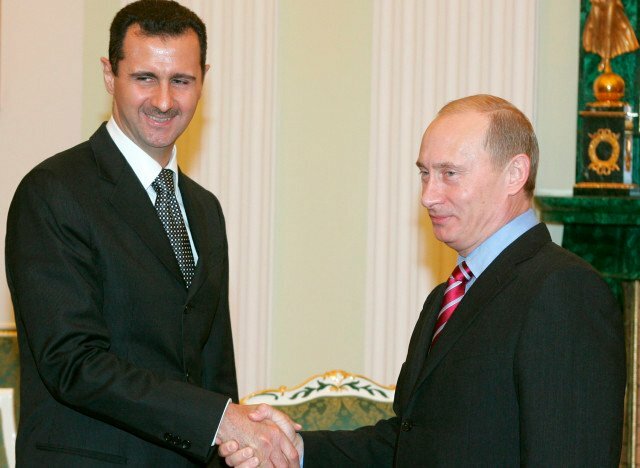 Did Putin win Syria only to lose it to Washington and the Israelis? How can we imagine Putin, the head of a powerful state, on the telephone pleading with an Israeli war criminal who heads a tiny state? We know that Israel owns Washington, but does Israel own Russia also? This entire conflict, primed to grow in intensity, could have been stopped by Putin acknowledging the same overwhelming majority vote as occured in Crimea and reincorporating the provinces in Russia.The nazi government of Ukraine even with Washington and EU’s support is not so completely insane that it would attack Russia and expect to continue to exist. The America-worshipping Russian Atlanticist Ingegrationists must have many screws loose to want to be part of degenerate Western civilization: See this, this, this and this. If you look to Global Research as a resource for information and understanding, to stay current on world events or to experience diversity and transparency in your news, please consider making a donation to Global Research. Global Research is an independent organization that is funded exclusively through the support of its readers. It does not accept public or private funding. Every contribution helps us continue to bring you the up-to-date, incisive information that you count on.